Want amazing results with subnetting on your #CCNA exam? What helps you achieve those results? 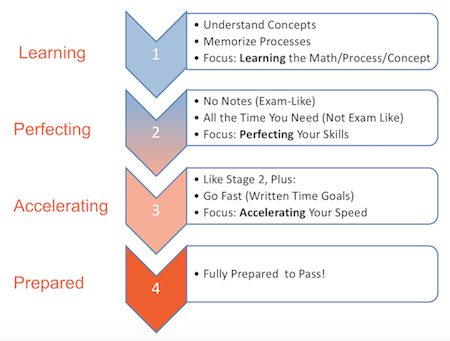 To get the best results for the time invested, adjust how you study based on your current knowledge and skills – and that target moves quickly during your study progress. Today’s post reviews the big ideas and gets into some depth on the first study stage: the learning stage. I’ve written the posts on stage 2 (perfecting) and stage 3 (accelerating) and will post each of those in the next few days. Enjoy! 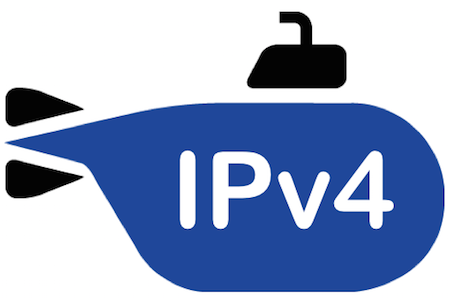 Before getting to the advice, let me briefly review the three learning stages, and the six subnetting topics I use in the IPv4 Subnetting course. A natural sequence occurs when learning any math-related topic. By the end of the process, that particular bit of math becomes second nature – in fact, the math becomes so evident that you might even have a difficult time explaining the steps to someone else because it has become so natural for you. But what happens between the time when you first learn that bit of math until you master the process? “Subnetting” includes a variety of individual topics, and people progress through learning stages 1, 2, 3, and 4 for each subnetting branch. My IPv4 Subnetting course on Safari breaks subnetting math into six main branches, as shown in Figure 2. You may have reached stage 4 for one part of subnetting, but still be at stage 1 for another. Your study activities should change based on your current learning stage (for a given subnetting branch). Your learning stage can change quickly – from a few minutes to a few dozen minutes. Stated differently: If you cleared your desk of all notes, you could not find the answers and analyze that branch of subnetting. Make a glossary of terms, especially of synonyms. Focus on their practical meaning, not a dictionary meaning. Study the concepts before practicing the math. After each and every practice problem, check your answer. If you get it wrong, stop and figure out why before doing more problems. Goal: Correct your thinking immediately. Once your understanding is complete, work on any related memorization, e.g., powers of 2). All these steps lead you to a goal of complete understanding of the ideas and math, with progress towards memorizing all the details. Some of the memorizing will happen as a side effect, and some you may need to do as an end to itself. Are You at Stage 1 (Learning) for Any of These? I will ask you about your learning stage in each of the next few posts. To get the process started, are there any of the six subnetting branches that I use in my subnetting course (listed in the table below) for which you would consider yourself to be at stage 1? Post here or tweet me (@WendellOdom) with #IPSubnetting.